On August 4, 2015, the LDS Church issued a press release that was picked up and reported on National Public Radio and Fox News, by the Associated Press, and by many other news outlets. The focus of the story was the publication that day of high-resolution photographs and a printed transcript of the Printer’s Manuscript of the Book of Mormon. Judging from the press release and the news stories, one would never know that the text of the Printer’s Manuscript had already been published in 2001. There wasn’t much newsworthy there, although scholars will appreciate being able to examine photographs of the manuscript. The real story is that the LDS Church also has published color photographs of the seer stone (including the photo shown here1) that Joseph Smith used to dictate his translation of the Book of Mormon. Until the end of 2013, the Church had generally represented Joseph as having translated the Book of Mormon by reading the gold plates through transparent stone spectacles that he had found along with the plates in a stone box buried near his home. Prior to that time the LDS Church had only occasionally mentioned Joseph’s seer stone, sometimes admitting he used it in translating and sometimes questioning if he did so, and never with any explanation as to what it was. Although the LDS Church is now at least talking about the seer stone, it is still far from addressing the issues adequately. Historians agree now that Joseph had at least two seer stones and probably more. The first seer stone Joseph used, though, belonged to a neighbor girl named Sally Chase.5 According to a later story, Joseph looked at her stone and saw the location of a stone far away under the roots of a tree a mile from Lake Erie; he later went there, dug, and found his first stone. It is well established that he found one of his seer stones on Sally’s farm in 1822 when he was supposedly helping her older brother Willard to dig a well.6 Most likely, Joseph and Willard were digging for treasure, perhaps with Joseph using his other stone if he already had it, or perhaps using the stone that belonged to Sally. The stone found on the Chase farm is usually said to have been the brown stone, though one LDS scholar has argued it was the whitish stone.7 What is certain is that Willard considered the stone found on his family farm to be his property. Ironically, it may be that Joseph dictated his “translation” of the Book of Mormon using a seer stone stolen from someone else. Mormons seem somewhat conflicted with regards to how to view Joseph’s exploits with the seer stone. On the one hand, LDS writers have pointed out that using seer stones to look for lost property or buried treasure was a feature of common folklore in Joseph’s culture, even if viewed with disdain by most of the educated or elites.8 The point here seems to be that believing today in Joseph’s calling as a prophet does not entail believing in the use of seer stones or similar divining objects. On this way of looking at the issue, the stone was not important; God simply chose to work through Joseph’s belief in the power of the stone. On the other hand, Mormons sometimes try to validate Joseph’s use of seer stones in ways that imply that the stone was important. Two examples supposedly proving that Joseph could really see something in the stone are usually given. Both of these examples come from Martin Harris, who may fairly be said to have been the least credible witness among Joseph’s associates.9 In one story, Harris claimed that he hid a pin in a haystack and that Joseph found it immediately without even looking in the hay by gazing at his seer stone in his hat while reaching his hand into the hay to extract the pin.10 Since “a needle in a haystack” was a familiar idiom in Harris’s day, some skepticism about this story seems appropriate. Whether one accepts this story as factual or not, it shows that Harris, at least, believed that the stone itself had a special power. Harris’s other story was that he once secretly substituted a lookalike stone in Joseph’s hat when they were translating the gold plates, and that when Joseph looked in the hat he expressed surprise that he could not see anything.11 This story implies not only that Joseph needed a stone to function as a “seer” but that it had to be a genuine seer stone. The story conflicts with the idea that God was merely working through Joseph’s belief in seer stones inherited from his culture. It implies instead that the power really was in some sense in the stone. If the stone was necessary only because Joseph thought it was, then Joseph’s mistaken belief that the stone in his hat was the seer stone should have been sufficient for him to continue receiving revelation. A Mormon can accept this story at face value as testifying to Joseph’s ability to see things in the stone only if he also accepts the notion that the ability depended on having the right stone. Unless we accept the belief that certain stones were specially invested in magical or supernatural power, we will need to view Harris’s story with some skepticism. Mormons sometimes also argue that as Joseph matured as a prophet, he became less dependent on such instruments, to the point of not needing them to produce his later translations and revelations.12 Again, the implication is that the instrument was not crucial to Joseph’s “gift.” The problem is that Joseph claimed that the instruments were essential. For example, he stated with regard to the “Urim and Thummim” that “the possession and use of these stones were what constituted ‘seers’ in ancient or former times” (JS–H 1:35). This is why the fact that Joseph actually dug up the stone he used to translate the gold plates five years or so before he obtained the “Urim and Thummim”—perhaps when supposedly digging a well on his neighbor’s farm—has come as shocking news to some Mormons. Until recently, the LDS Church avoided acknowledging that Joseph was engaged in hunting for buried treasure using a seer stone prior to his claiming to have found and translated the Book of Mormon. When the issue did come up, their spokesmen generally questioned that he did so or commented on the issue in such a way as to imply that Joseph’s reputation in this regard was undeserved.13 In skirting this issue, the LDS Church was simply following Joseph’s lead. In Joseph Smith–History, he claimed that his reputation as a treasure-hunter was a misunderstanding. In October 1825 Joseph had, he said, gone to live in the home of Josiah Stowell as a hired hand. Stowell had learned about a lost silver mine supposedly located in Harmony (PA). Joseph reported, “After I went to live with him, he took me, with the rest of his hands, to dig for the silver mine, at which I continued to work for nearly a month, without success in our undertaking, and finally I prevailed with the old gentleman to cease digging after it. Hence arose the very prevalent story of my having been a money-digger” (JS–H 1:56). Now that Joseph’s treasure-hunting is well known, Mormons are claiming that his reference to the Stowell expedition shows that he did not try to hide his involvement in such activities.14 However, Joseph did try to hide the nature and extent of his involvement. He was actually the defendant in a court case in 1826 in regards to the expedition with Stowell in late 1825. In the records of that case, Joseph admitted that he had a stone that he had used “occasionally” for three years to locate lost items and buried treasures. This would be three years prior to the Stowell expedition in late 1825, taking us back to 1822, the year Joseph found his seer stone on the Chase farm. Joseph suspended the use of his seer stone in money-digging for most or all of 1826 due to the trial, but resumed the practice for part of 1827.15 Years later, Martin Harris claimed that Joseph had told him that an angel commanded him to quit money-digging.16 In reality, Joseph quit because it was a condition for financial help from his father-in-law Isaac Hale, as both Hale and another witness, Peter Ingersoll, attested. It is also worth noting that according to Ingersoll, Joseph admitted to Hale that “he could not see in a stone now, nor ever could; and that his former pretensions in that respect, were all false.”17 This testimony fits the facts since, in Joseph’s five years of treasure hunting, he never actually acquired anything of value, unless one counts the gold plates. The fact that Joseph was engaged in “money-digging” for years prior to working for Stowell is not mentioned in any of the recent LDS Church articles for general readers. However, it has been acknowledged in a couple of Mormon books published in 2015 on the subject of Joseph’s translation of the Book of Mormon.18 Since Joseph had been using his seer stone to find buried treasure for three years when Stowell hired him to search for the the silver mine, Joseph’s claim that his reputation as a money digger arose from that one short-lived effort at the end of 1825 is false. The reason why Joseph tried to cover up his years of treasure-hunting is not hard to discern: this was the original context in which Joseph’s supposed discovery of the gold plates took place. In the folklore of Joseph’s early American culture, buried treasure was commonly guarded by spirits—typically either demons or the ghosts of the departed—and thus divination instruments such as divining rods or seer stones were required to locate the treasure. According to Joseph, the gold plates were buried in the ground and guarded by a supernatural being, later identified as the angel Moroni, who refused to allow Joseph to take the plates until various conditions were met. Thus, the story of the finding of the Book of Mormon is a story of buried treasure, one that some LDS scholars have admitted fit comfortably into the folklore beliefs accepted by the Smiths and their associates.22 One recent LDS article explains that Joseph’s account merely “emphasized his visions and other spiritual experiences,”23 but this understatement ignores Joseph’s attempt to explain away his notoriety as someone who for several years had claimed the ability to find lost treasures by looking in a stone. Joseph also says in this same account that he was visited annually by the angel Moroni, shown the gold plates, and instructed at length about his mission, from 1823 to 1827. As we have seen, this was the very period during which he was often engaged in searching for buried treasures supposedly guarded by spirits. The coincidence raises the reasonable suspicion that the five annual visits of Moroni are a later fiction to replace Joseph’s youthful career as a treasure hunter with a more religiously edifying story about a heavenly angel. The LDS Church for many years fostered the belief that Joseph Smith actively studied the plates as part of his work of translating them. For example, Joseph Fielding Smith described Joseph’s translation work in this way: “He was busy studying the characters and making himself familiar with them and the use of the Urim and Thummim. He had a great deal more to do than merely to sit down and with the use of the instrument prepared for that purpose translate the characters on the plates.”32 According to a 1988 Ensign article, “The scriptures indicate that translation involved sight, power, transcription of the characters, the Urim and Thummim or a seerstone, study, and prayer.”33 A curriculum manual for upper elementary students currently on the LDS website states: “At first Joseph spent a lot of time becoming familiar with the plates and the language in which they were written. As he studied and prayed, the Urim and Thummim helped him understand the characters on the plates.”34 This understanding was reinforced in LDS artwork depicting Joseph closely examining the plates, often with his finger touching a plate as if he were examining a specific word or character. Once again, the misunderstanding goes back to Joseph Smith, who never mentioned the seer stone or the hat in connection with the translation of the Book of Mormon. Rather, he consistently claimed that he translated the gold plates using spectacles made of transparent stones that he found with the plates at the location revealed by the angel Moroni. According to his official history, Moroni told him that “there were two stones in silver bows—and these stones, fastened to a breastplate, constituted what is called the Urim and Thummim—deposited with the plates; and the possession and use of these stones were what constituted ‘seers’ in ancient or former times; and that God had prepared them for the purpose of translating the book” (JS–H 1:35). In another statement issued in 1838 he said, “I obtained them [the plates], and the Urim and Thummim with them; by the means of which, I translated the plates; and thus came the book of Mormon.”35 In his 1842 Wentworth Letter, Joseph said, “With the records was found a curious instrument which the ancients called ‘Urim and Thummim,’ which consisted of two transparent stones set in the rims of a bow fastened to a breastplate. Through the medium of the Urim and Thummim I translated the record by the gift and power of God.”36 Naturally, Mormons have assumed that these miraculous spectacles with transparent stones were used to read the gold plates but, as scholars have known for many years, Joseph did no such thing. Mormons have offered two explanations to harmonize Joseph’s repeated, unqualified statement that he translated the Book of Mormon using the stone spectacles he found with the gold plates and the multiple testimonies from witnesses who observed Joseph dictating the Book of Mormon with a seer stone in his hat. The first is that Joseph and his associates began using the term “Urim and Thummim” to refer to both the stone spectacles and the individual seer stone, resulting in some confusion as to which instrument was meant.37 While this might be a possible explanation for other statements using the term, it cannot explain away Joseph’s explicit statements, quoted above, describing the Urim and Thummim as transparent stone spectacles found in the stone box with the gold plates. The other harmonization goes back to statements made by Joseph’s associates in the decades following his death. According to Joseph’s widow Emma, David Whitmer, and William McLellin, Joseph used the stone spectacles when he dictated the 116 pages of manuscript that Martin Harris lost in 1828, but used his seer stone when he dictated in 1829 the text of the published Book of Mormon.38 If one assumes that the stone spectacles existed, this would seem to be the only satisfactory explanation. On the other hand, no one ever saw Joseph using the stone spectacles to translate the gold plates. Harris, who served as Joseph’s scribe for the lost 116 pages, never saw Joseph during the process, as a curtain or blanket was hung that shielded him (and the reported plates and stone spectacles) from view. Harris told at least two different individuals, John A. Clark and Charles Anthon, about the curtain or blanket.39 Harris’s own understanding was that Joseph began with the stone spectacles but soon switched during their translation work to the seer stone “for convenience.”40 Thus, the claim made by Emma and others that Joseph used the stone spectacles for the lost 116 pages is at least largely negated by Harris’s story. 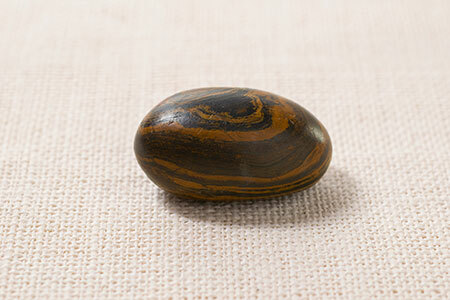 In short, according to the testimonies of his associates (other than Oliver Cowdery), Joseph used the seer stone for much if not most of the lost 116 pages dictated in 1828 and for all of the pages they witnessed him dictating in 1829 that became the published Book of Mormon. This makes his unqualified claim to have translated the Book of Mormon with the stone spectacles at least misleading if not an outright lie. Translating with the Seer Stone: Was It a Miracle? Granting that Joseph dictating of the Book of Mormon with his face in his hat is contrary to his own account of what happened, many Mormons have argued that the method confirms that the translation was a divine miracle. After all, they ask, how could Joseph have dictated the Book of Mormon using his own natural knowledge or resources with his face buried in his hat? No doubt his dictating pages of manuscript without looking up from his hat impressed Joseph’s original circle of supporters who watched him do so. Richard Bushman has commented, “Although the witnesses’ explanations of the translation process differ from what is generally understood by Church members, the testimonies of these witnesses affirm that the use of the seer stones—placed as they were in a hat to block out the light so the words of God could be read—was the greatest evidence to them of the miraculous nature of the translation process.”41 As impressed as Joseph’s associates may have been, there are reasons to conclude that Joseph’s dictation was not a divine miracle. First, the method of “translation” was the same divination method Joseph and others in his society used in trying to find the location of buried treasure. Divination, which is a form of magic, and miracle are two distinct concepts even though both of them involve unseen forces. Mormon scholar John Welch’s comment that religion seeks “a deity’s actions” and “makes petitions to God” while “magic typically tries to command, control, or manipulate the supernatural” helpfully points in the right direction.42 Divination was and is an art performed by individuals especially adept or skilled at utilizing certain objects as instruments for tapping into unseen sources of knowledge. The knowledge is accessed by using the right kind of objects or paraphernalia and performing the right actions according to very specific instructions and under the right conditions. Whereas in the Bible God has the freedom to deny or to approve a request for a miracle however well or poorly presented, in magic the desired result comes automatically as long as the proper procedure is carried out to the letter; failure is always due to some mistake or imperfection in the process used by the practitioner.43 Thus, the fact that Joseph’s translation was produced using a form of divination common in the folkloric magical practice of his culture is evidence against it having been a genuine miracle. Second, Joseph’s method of dictating with his face in the hat meant that no one could actually observe the instrument of the seer stone working. His associates were given to understand that when Joseph looked into his hat with all outside light blocked, he could see words in light emanating from or in the stone. But the same method that kept outside natural light from coming into the hat kept any supposed supernatural light from coming out of the hat. Joseph’s associates could only take his word for it that he saw anything in the hat at all. Third, assuming that the witnesses truthfully reported watching Joseph dictate with his face in his hat, this does not mean that all of the Book of Mormon original manuscript was dictated or written in that fashion. There is no journal recording what pages or text of the Book of Mormon were dictated from day to day. We also do not have detailed records telling us on which days the various witnesses actually sat and watched Joseph dictating the text to Oliver Cowdery, the main scribe for the Book of Mormon. About three-quarters of the original manuscript is no longer extant (having apparently suffered irreparable water damage), complicating any study to determine if it had all been produced in the same way. Thus, it is possible that some of the manuscript was dictated with Joseph not looking in his hat. This possibility leads us to the next point. Fourth, there is good evidence that Joseph used a Bible when he dictated the Book of Mormon material that parallels chapters of the Bible. There are well over 600 verses of the Bible that are duplicated in the Book of Mormon (representing 27 chapters of the Bible), and this material is at least 96 per cent verbally identical to the King James Version. Hypothetically, one can imagine three explanations for this fact: Joseph supernaturally had the words of the KJV revealed to him, he memorized the chapters before sitting for his dictation, or he had a Bible in hand when he dictated those chapters. The supernatural explanation is the easiest to disprove, because if true one would expect that the text would match the KJV exactly except where the KJV wording was somehow wrong. That is, if God had supernaturally revealed the words of the Book of Mormon translation to Joseph, and if God had chosen to use the KJV as the basis for biblical quotations, one would expect variations from the KJV only where there was some problem with the KJV wording. However, the four per cent of verbal variations from the KJV in biblical quotations in the Book of Mormon are generally not corrections of problems in the KJV. For example, in duplicating the Beatitudes more or less as they appear in Matthew 5, the Book of Mormon has the trivial word “and” inserted at the beginning of all but the first of the Beatitudes (3 Nephi 12:4-11).44 The only point to such a trivial deviation from the KJV text is to make it seem as if the “translation” is not simply copied from the KJV. The third hypothesis, that Joseph dictated the biblical chapters into the Book of Mormon with Bible in hand, is however the most likely explanation. This follows from the fact that Joseph introduced minor as well as major variations into the biblical material, something that might be difficult to do while reciting from memory. Many of the insignificant variations from the KJV in biblical quotations are placed either at the beginning of a verse or are associated with the italicized words in the KJV. The KJV used italics to indicate that an English word did not correspond to a specific word in the original Hebrew or Greek text. So, for example, Matthew 5:11 in the KJV reads, “Blessed are ye, when men shall revile you, and persecute you, and shall say all manner of evil against you falsely, for my sake.” The Book of Mormon parallel reads exactly the same except for two changes: it adds “And” to the beginning of the verse (as mentioned earlier), and it omits the italicized word “you” after the word “persecute” (3 Nephi 12:11). These minor variations (and there are many of them throughout the Book of Mormon) are strong evidence that these passages were composed by someone who had a KJV in hand, reading along and making mostly minor verbal changes at what seemed to be opportune places. Some respected Mormons have agreed that Joseph used a KJV when dictating passages from the Bible. B. H. Roberts, Joseph F. Smith, Bruce McConkie, and Kent Jackson are just some of the LDS scholars and leaders who have put forward this conclusion.46 Evidently, Joseph dictated most of the Book of Mormon with his face in his hat, but not all of it, as is shown by his use of the KJV. Thus, far from showing that the translation of the Book of Mormon was a miracle, Joseph’s use of the divination practice of gazing at his seer stone in a hat raises a number of difficulties for the belief that Joseph was divinely inspired in his translation. The Seer Stone: What Difference Does It Make? 1. The difference is not merely a matter of one stone versus two stones, but of two very different instruments and two very different methods. Whereas Joseph claimed to have translated the Book of Mormon using transparent stone spectacles that were in the box where the gold plates were found, in fact he dictated his translation by looking at a non-transparent, chocolate-colored stone in his hat. Not only are the instruments very different, the method is very different: Joseph did not “read” the gold plates with the stone spectacles or even look at the plates while dictating his translation, but instead had his face buried in his hat. 2. It makes a difference that Joseph used a seer stone because it means that Joseph Smith did not tell the truth when he claimed that he used the stone spectacles found with the gold plates. This falsehood is part of the official account contained in Mormon scripture (Joseph Smith–History), making it a very serious problem. Moreover, this is not the only such instance, which leads to the third point. 3. Joseph’s use of the seer stone in the hat reveals that the Book of Mormon originated in the context of Joseph’s disreputable magical “money-digging” enterprises. We showed earlier that Joseph falsified his official history by claiming that his involvement in treasure hunting was limited to a month-long expedition in which he was just one of several manual laborers who dug for Josiah Stowell. In fact Joseph engaged in treasure-hunting operations with his family and others over a five-year period, and his main implement was not a shovel but a seer stone. This makes two deliberate falsehoods in Joseph’s scriptural account. Now we have seen that treasure-hunting was the context not only of Joseph’s claim to have found the gold plates but also of his claim to translate them by divine power. It thus becomes clear that the motivation for Joseph’s falsifying his history with regard to the instrument used to translate the plates was the same as the motivation for his falsifying his history with regard to his involvement in money-digging. Joseph wished to persuade people that he was a prophet of God who found and translated the Book of Mormon by divine revelation. He recognized that this claim would not be credible if the Book of Mormon was viewed as originating in his years-long career of using a magical stone to lead people to buried treasure. 4. The preceding two points establish that Joseph Smith’s account of the origins of the Book of Mormon cannot be considered reliable. That Joseph was not forthright about the origins of the Book of Mormon is hard to deny. When his brother Hyrum in 1831 directly asked him at a general conference of the LDS Church to explain how he translated the Book of Mormon—a question Hyrum asked in full faith that the translation was inspired—Joseph “said that it was not intended to tell the world all the particulars of the coming forth of the Book of Mormon; and also said that it was not expedient for him to relate these things.”48 The most he would ever say was that he did so using the Urim and Thummim that he had found with the gold plates—which we know was not true—and that he did so “by the gift and power of God.” Mormon apostle Neal A. Maxwell admitted, “The Prophet Joseph alone knew the full process, and he was deliberately reluctant to describe details.” Maxwell, however, dismissed the question as unimportant: “Our primary focus in studying the Book of Mormon should be on the principles of the gospel anyway, not on the process by which the book came forth.”49 In view of the evidence that Joseph deliberately misled people as to “the full process,” anyone who honestly wants to know the truth should be concerned. 5. The fact that Joseph Smith did not use the stone spectacles to translate the Book of Mormon stands in conflict with the teaching of the Book of Mormon itself. Joseph’s statement that “the possession and use of these stones [of the spectacles called the Urim and Thummim] were what constituted ‘seers’ in ancient or former times” (JS–H 1:35) clearly implies that if Joseph did not use those stones (but instead a seer stone he found years earlier) then he was not genuinely functioning as a “seer” in his translation. This implication is supported by the Book of Mormon. In one passage, a figure named Ammon is quoted as saying that he knows of a man that can translate records written in an unknown language, “for he has wherewith that he can look, and translate all records that are of ancient date; and it is a gift from God.” These “things are called interpreters,” and whomever God commands “to look in them, the same is called seer” (Mosiah 8:13). After hearing more about the powers of a seer, the king agreed that “these interpreters were doubtless prepared for the purpose of unfolding all such mysteries to the children of men” (8:19). The interpreters were “two stones which were fastened into the two rims of a bow” and that were “prepared from the beginning, and were handed down from generation to generation, for the purpose of interpreting languages” (28:13-14). These are the same “interpreters” that Joseph claimed he used to translate the Book of Mormon. Yet it turns out that he did not do so. If the use of these specific stones as spectacles were what enabled certain men to function as “seers,” it follows that anyone falsely claiming to have used those stone spectacles would not be a genuine seer. Thus the problem goes beyond the fact that Joseph falsified his testimony about how he translated the plates, as bad as that is. According to his own claim and the very text he claimed to have translated supernaturally, the fact that he did not use the ancient stone spectacles and yet claimed to do so disqualifies him as a genuine seer. 6. The fact that Joseph did not look at the gold plates when dictating his “translation” means that the Book of Mormon need have no relation to the supposed gold plates at all. Joseph’s method of producing the text of the Book of Mormon in effect renders the gold plates irrelevant. There was no need for Moroni (whom the Book of Mormon identifies as its last ancient author) to carry the gold plates (weighing forty pounds or more according to Joseph’s associates, though if they really were gold they should have weighed closer to two hundred pounds) thousands of miles from Central America to upstate New York (a tall order, to put it mildly) in order to bury them for Joseph to discover fourteen centuries later. (The people of ancient Mesoamerica had no pack horses or other beasts of burden, so Moroni would have had to carry the plates, along with the stone spectacles and the breastplate, on his own.) Yet Joseph did not need the plates, the stone spectacles, the breastplate, or anything other than what he already had, his small treasure-hunting seer stone and his hat, along with the divine revelation Mormons claim he received. The best Mormon apologists have been able to say in response to this point is that Joseph needed to have contact with the gold plates as physical assurance that the Book of Mormon was based on something real.50 There are two objections to this explanation. The first is that if the point of having the plates was to be assured that the Book of Mormon was an ancient text, then Joseph should have used the transparent stone spectacles he claimed had been provided. Doing so would have produced a much more direct, tangible demonstration to Joseph—and anyone else permitted to watch—that the Book of Mormon was really translated from ancient scriptures. Second, the explanation is out of sync with the constant refrain of Mormon leaders, scholars, and apologists that knowledge of the truth of the Book of Mormon must be gained by a witness of the Holy Ghost and not by physical evidence (cf. Moroni 10:4-5). 1. The photograph shown here is from “Seer stone (Latter Day Saints)” by Source (WP:NFCC#4), licensed under fair use via Wikipedia: https://en.wikipedia.org/wiki/File:Seer_stone_(Latter_Day_Saints).jpg#/media/File: Seer_stone (Latter_Day_Saints).jpg. 2. “Book of Mormon Translation,” posted on LDS.org, Dec. 30, 2013. 3. Steven E. Snow, “Joseph in Harmony,” Ensign, Sept. 2015; Richard E. Turley Jr., Robin S. Jensen, and Mark Ashurst-McGee, “Joseph the Seer,” Ensign, Oct. 2015. 4. Joel B. Groat, “Translation or Divination?” IRR (1999). 5. Mark Ashurst-McGee, “A Pathway to Prophethood: Joseph Smith Junior as Rodsman, Village Seer, and Judeo-Christian Prophet” (M.A. thesis, Utah State University, 2000), 204. 7. Ibid., 198-283. Ashurst-McGee went on to become an editor with the Joseph Smith Papers project of the LDS Church Historian’s Office. 9. See Joel Groat, “Facts on the Book of Mormon Witnesses—Part One,” IRR (1996). 11. Cited, e.g., in Kenneth W. Godfrey, “A New Prophet and a New Scripture: The Coming Forth of the Book of Mormon,” Ensign, Jan. 1988. 13. E.g., Dean Jessee, “Joseph Smith’s Reputation among Historians,” Ensign, Sept. 1979; Dallin H. Oaks, “Recent Events Involving Church History and Forged Documents,” Ensign, Oct. 1987; Kenneth W. Godfrey, “A New Prophet and a New Scripture: The Coming Forth of the Book of Mormon,” Ensign, Jan. 1988; William G. Hartley, “The Knight Family: Ever Faithful to the Prophet,” Ensign, Jan. 1989. In one article, Richard Lloyd Anderson acknowledged that the Smiths had engaged in treasure hunting but questioned various sources that mentioned them using or having seer stones: “The Alvin Smith Story: Fact and Fiction,” Ensign, Aug. 1987. The burst of articles in the late 1980s was a response to controversial evidence that the Smiths had pursued magical or occult activities. 14. E.g., “Book of Mormon Translation.” Royal Skousen makes the same argument, though he also concedes that Joseph exercised “caution” in referring to his treasure-hunting activities: The Joseph Smith Papers: Revelations and Translations, Volume 3, Part 1: Printer’s Manuscript of the Book of Mormon, 1 Nephi 1—Alma 35, Facsimile Edition, ed. Royal Skousen and Robin Scott Jensen (Salt Lake City: Church Historian’s Press, 2015), xv-xvi. 15. See especially Dan Vogel, “The Locations of Joseph Smith’s Early Treasure Quests,” Dialogue 27/3 (1994): 197-231. Vogel identifies eighteen locations where Joseph searched for buried treasure in 1822-1825 and 1827. 16. “Mormonism—No. II,” 169; repeated in “Book of Mormon Translation”; Snow, “Joseph in Harmony,” n. 4. 17. See their accounts in Early Mormon Documents, ed. Vogel, 2:42-43; 4:284-86. A recent Mormon book admits that Hale had persuaded Joseph to quit but misrepresents the issue as Hale objecting to Joseph’s manual labor of digging: Michael Hubbard MacKay and Gerrit J. Dirkmaat, From Darkness unto Light: Joseph Smith’s Translation and Publication of the Book of Mormon, Foreword by Richard Lyman Bushman (Provo, UT: Religious Studies Center, BYU; Salt Lake City: Deseret, 2015), 33. 18. MacKay and Dirkmaat, From Darkness unto Light, 3, 10 (although they are unclear on the chronology); Printer’s Manuscript, ed. Skousen and Jensen, xv-xvi. 19. See Early Mormon Documents, ed. Dan Vogel (Salt Lake City: Signature Books, 1996-2003), 1:309-310. 20. Richard Lyman Bushman, Joseph Smith: Rough Stone Rolling, with Jed Woodworth (New York: Knopf, 2005), 48; Mark Ashurst-McGee, “Moroni as Angel and as Treasure Guardian,” FARMS Review 18/1 (2006): 42. 22. Bushman, Joseph Smith, 50; Ashurst-McGee, “Moroni as Angel and as Treasure Guardian,” 39; Printer’s Manuscript, ed. Skousen and Jensen, xv-xvi. Ashurst-McGee tries to argue (unsuccessfully, in my view) that Joseph’s story of the angel and the gold plates was always primarily a story of revelation and faith, but even he admits that it would sound like a tale of a spirit and buried treasure. 24. Joseph Fielding Smith, Doctrines of Salvation: Sermons and Writings of Joseph Fielding Smith, comp. Bruce R. McConkie (Salt Lake City: Bookcraft, 1956), 3:226. 27. “Lesson 34: Doctrine and Covenants 28,” in Doctrine and Covenants and Church History Seminary Teacher Manual(LDS Church, 2013), emphasis added. 28. E.g., “Book of Mormon Translation”; Foundations of the Restoration Teacher Manual (LDS Church, 2015). 29. Richard Lyman Bushman, “Foreword,” in MacKay and Dirkmaat, From Darkness unto Light, vi. 30. David Whitmer, “The Golden Tables [sic],” Chicago Times, Aug. 7, 1875. 31. In Early Mormon Documents, ed. Vogel, 4:287. 32. Smith, Doctrines of Salvation, 3:215-16. 34. “Lesson 6: Joseph Smith Begins to Translate the Gold Plates,” in Primary 5: Doctrine and Covenants and Church History (1997), 26-30. 35. Joseph Smith, “Answers to Questions,” Elders’ Journal, July 1838, in Early Mormon Documents, ed. Vogel, 1:52. 36. In Early Mormon Documents, ed. Vogel, 1:171; see his similar account in 1843, 1:185. 37. “Book of Mormon Translation”; Alexander L. Baugh, “Joseph Smith: Seer, Translator, Revelator, and Prophet,” BYU Speeches, June 24, 2014; Turley, Jensen, and Ashurst-McGee, “Joseph the Seer”; Printer’s Manuscript, ed. Skousen and Jensen, xix. 38. See Early Mormon Documents, ed. Vogel, 1:532; 5:138, 327. 39. See Early Mormon Documents, ed. Vogel, 2:268; 4:379, 384; accepted as fact by Bushman, Joseph Smith, 66. 40. See Early Mormon Documents, ed. Vogel, 2:320; affirmed in Printer’s Manuscript, ed. Skousen and Jensen, xix. 41. Bushman, “Foreword,” in MacKay and Dirkmaat, From Darkness unto Light, xiv. 42. John W. Welch, “Miracles, Maleficium, and Maiestas in the Trial of Jesus,” in Jesus and Archaeology, ed. James H. Charlesworth (Grand Rapids: Eerdmans, 2006), 359. 43. Cornelis Van Dam, The Urim and Thummim: A Means of Revelation in Israel (Winona Lake, IN: Eisenbrauns, 1997), 122-25. 44. I discuss this example and many more in “The Sermon at the Temple in the Book of Mormon: A Critical Examination of Its Authenticity through a Comparison with the Sermon on the Mount in the Gospel of Matthew” (Ph.D. diss., South African Theological Seminary, 2014), chapter 7. 45. See further Robert M. Bowman Jr., “Did the Young Joseph Smith Study the Bible?” (IRR, 2010). 46. B. H. Roberts, New Witnesses for God, II: The Book of Mormon (Salt Lake City: Deseret Press, 1909), 3:425-40, quoting with approval Joseph F, Smith; Bruce R. McConkie, Mormon Doctrine, 2nd ed. (Salt Lake City: Bookcraft, 1966), 302; Kent P. Jackson, “New Discoveries in the Joseph Smith Translation of the Bible,” Religious Educator 6/3 (2005): 150-51. 47. Michael R. Ash, Shaken Faith Syndrome: Strengthening One’s Testimony in the Face of Criticism and Doubt, 2nd ed. (Redding, CA: FAIR, 2013), 286. 48. Joseph Smith, History of the Church, 1:220 n.
49. Maxwell, “‘By the Gift and Power of God,’” 39. 50. E.g., Neal Rappleye, “Why Did Joseph Smith Need the Gold Plates?” Studio et Quoque Fide (blog), June 21, 2010. Rappleye cites BYU scholar Daniel C. Peterson as having offered the same explanation. 51. Ganesh Cherian, “A Former Bishop’s Doctrinal Dilemmas,” KiwiMormon (blog), posted by Gina Colvin, Feb. 12, 2014.